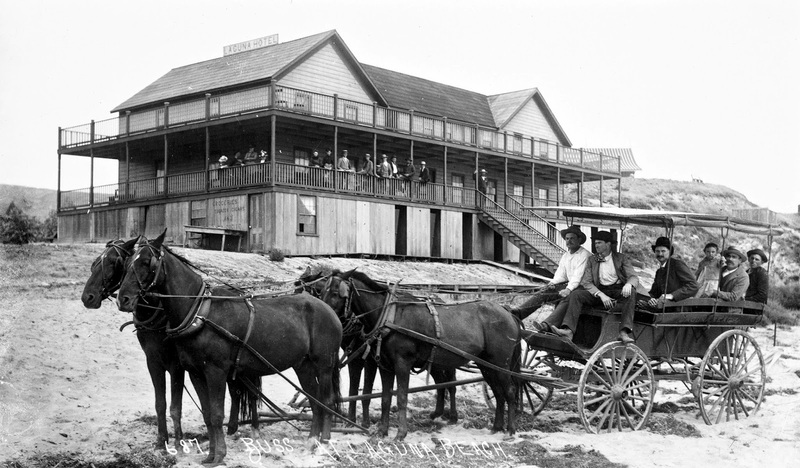 From the exhibit: A scene at the Hotel Laguna, circa 1889. An exhibit entitled "O.C. Circa 1889" is opening, just in time for the County's 125th birthday, at the Old Orange County Courthouse. It will launch with an opening reception on July 17th, 7pm-9pm, featuring a lecture by historian Phil Brigandi, who assembled the photos and information for the exhibit. Please RSVP by July 14 to 714-973-6607. The exhibit runs through Oct. 10th. Visitors will get a chance to see what life was like here in 1889, the year Orange County broke away from Los Angeles to become its own county. Rare photos of local communities, family life, agriculture, transportation, schools, recreation, businesses and notable personalities are accompanied by information telling the story of Orange County's beginnings. I've gotten a sneak preview, and it looks fascinating! Hope to see you at the reception! 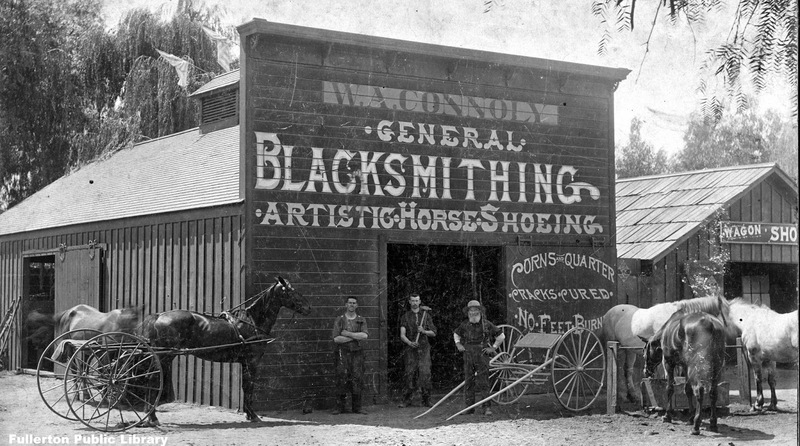 W. A. Connoly's blacksmith shop, Fullerton, 1889. By the way, there's currently a small display about Orange County's agricultural history on the first floor of the Old Courthouse, courtesy the Orange County Archives. Stick your head in and say "hello" if you decide to stop by and check it out.